Premium large SUVs continue to progress as the segment grows 17% on the first nine months of last year. Almost 90% of this growth can be attributed to a single model, the new leader of the segment: the new generation BMW X5. The X5 almost triples its sales of the outgoing model last year, shooting up from fourth place to the top with more than 20% share of the premium large SUV segment. In second place is another model that’s been renewed and making big gains. The Range Rover Sport comes from fifth place last year to almost double its sales of the previous generation, which started sales in the third quarter of 2013. 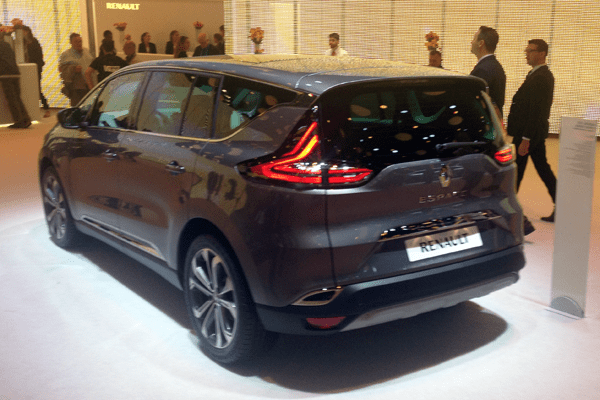 30 Years after the introduction of the groundbreaking first generation Espace and 11 years after the Espace IV, the long awaited fifth generation Renault Espace is shown as a production model in Paris. The exterior design isn’t exactly a surprise, as Renault have made no secret that the Initiale Paris concept car would be a clear indicator for the new Espace. That means it looks much less a large MPV and more a large crossover, although the Espace V will remain front-wheel drive only. After a number of canceled projects, the final production version will be built on Renault-Nissan’s Common Module Family platform that’s also used on the Nissans Qashqai and X-Trail and will be used for Renault’s version of the Qashqai as well as replacements to the Laguna and Megane line-up. 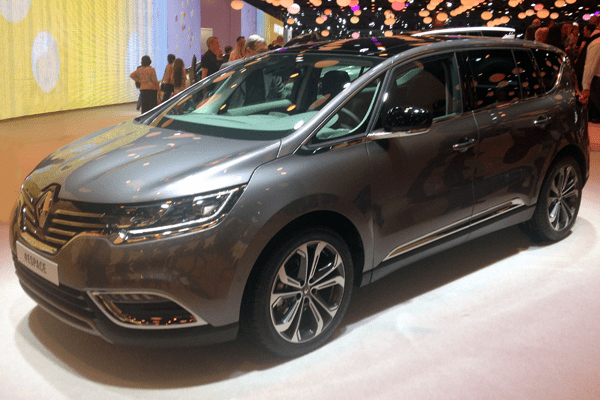 That doesn’t sound good for the interior dimensions of the Espace, and from what I could see at the Paris Auto Show, the third row of seats is only suitable for little children, which leads to the question what the Espace has to offer what the Grand Scenic doesn’t. Renault has not yet announced plans for a stretched Grand Espace, but considering this was the most popular version of the previous model and also considering the cramped third seating row, it certainly would make sense to build such a version. 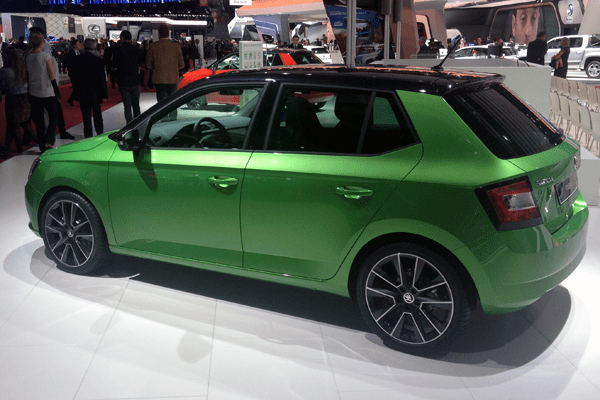 European sales of the Espace peaked at just under 65.000 units in 2004, but have declined to 8.200 sales last year. Renault anticipates 25.000 sales for the new generation, of which Germany and France would each take more than one quarter. But I don’t think those sales figures will be enough to outsell the Ford S-Max and take back the crown of the large MPV segment. The premium large SUV segment has increased its growth rate from 11% in the first quarter to a whopping 23% in the second quarter, making it +16% for the first half of 2014. Sales of premium large SUVs in Europe have rebounded in the first quarter of 2014, up 11% compared to a similar decline over the full year 2013. Just like in the compact premium SUV segment, there is a complete shuffle of the ranking, with the top 10 of the segment all changing position. Whereas the BMW X3 has fallen from its throne in the smaller segment, its larger sibling BMW X5 has committed a coup d’etat by leapfrogging its main competitors to jump from fourth position at the end of 2013 straight into the segment leadership. The new generation has sold almost double what the outgoing generation sold in the same period last year. The premium large SUV segment in Europe is down 11% in 2013, as the top 4 all show double digit declines, but a shake-up of the segment will take place in 2014. The premium large SUV segment in Europe shows a smaller decline in the first three quarters of 2013 than the non-premium large SUV segment, at minus 14%. 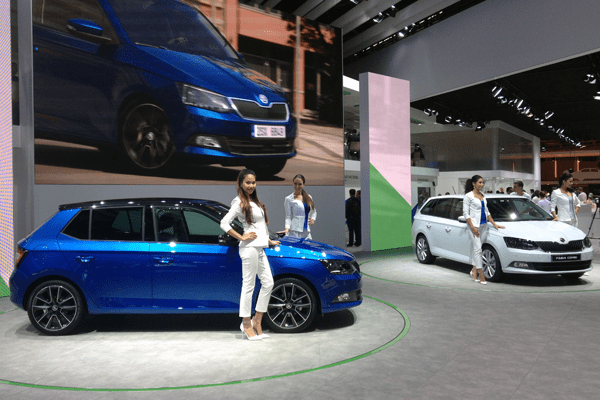 However, every model in the top 10 is losing sales compared to last year, except for one.